The Yakima Herald-Republic recently featured attorneys Terry Abeyta and David Abeyta for outstanding work in the field of personal injury law. 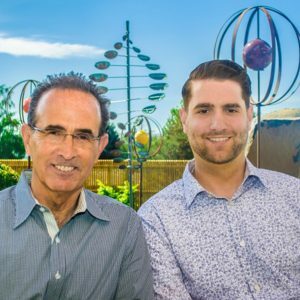 Terry Abeyta has been honored by The Best Lawyers in America and Super Lawyers, and David Abeyta has been recognized by Super Lawyers as a Rising Star. Attorney Terry Abeyta has been named to The Best Lawyers in America list for the 12th year in a row. He is the only plaintiff’s personal injury lawyer from Central Washington named to this exclusive listing of the country’s top attorneys. Less than 1 per cent of all attorneys are selected by their peers for The Best Lawyers in America. Abeyta, who has practiced law since 1976, was born and raised in Yakima. He attended West Valley High School and Yakima Valley College before graduating at the top of his class from Whitman College in 1973. He graduated from the University of Washington School of Law in 1976. Abeyta practiced law in Seattle for three years before returning to his home town in 1978. In addition, Abeyta was the first attorney from Central Washington selected by Washington Law & Politics as a “Super Lawyer.” He was also recently named to the 2017 Super Lawyers list for the 18th year, which is an honor granted to 5 percent of attorneys annually in the state of Washington. He’s also been named to the Lawdragon 500 Leading Plaintiff’s Attorneys in America and The National Top 100 Trial Lawyers, chosen as the best attorney in the Yakima Valley by readers of the Yakima Valley Business Journal, and has the highest rating by Avvo attorney rating service. Attorney David Abeyta was recently named to the Super Lawyers Rising Star list for the second year in a row. The Rising Star honor is given to 2.5 percent of lawyers in the state of Washington who are under the age of 40 and who have been in practice for less than 10 years. David Abeyta is a life-long resident of Yakima. After graduating from West Valley High School, Abeyta went on to study political science at Washington State University. He continued his education at California Western School of Law. He joined Abeyta Nelson Injury Law in 2010 and is a partner in the firm.